Fashion Boots Under $25! Many To Choose From! 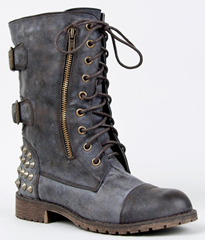 You are here: Home / Great Deals / Fashion Boots Under $25! Many To Choose From! I love boots – I cannot wait until this time of year where I can start wearing them again! They have always been my favorites … well except when I was a teenager, my favorite shoe back then were Candies! LOVE LOVE LOVED them! 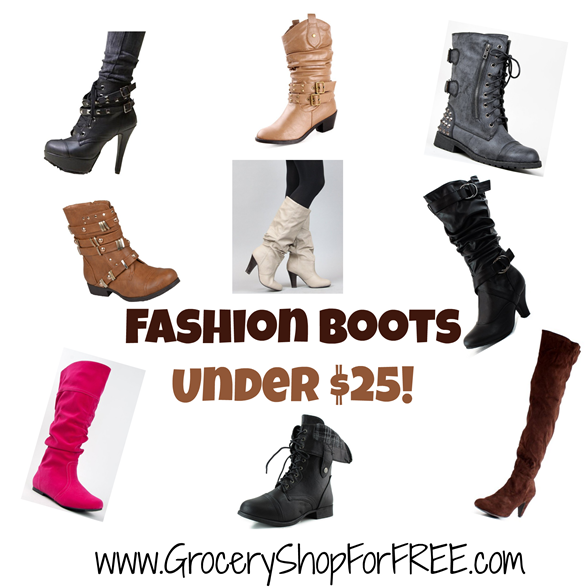 I have rounded up some fashion boots that are under $25! 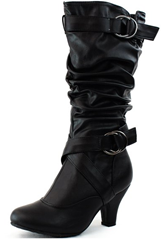 These cute Qupid Neiman-25 Slouchy Knee High Boots are just $16.99 and FREE shipping with prime! These are fun! I LOVE pink! 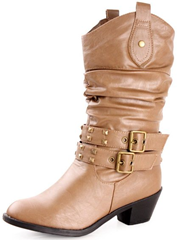 Qupid Women’s Classic Slouchy Flat Boot – $16.99 and FREE shipping with prime! These Over The Knee Boots are just $8.88 and FREE shipping with prime! 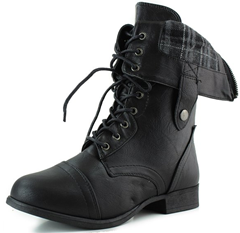 Top Moda Womens Smart-1 Combat Military Fold Down Lace Up Boots – $18.57 and FREE shipping with prime! 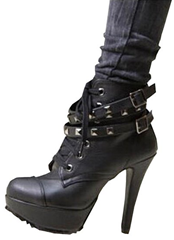 HARLEY-12 Studded Lace Up Distress Buckle Mid Calf Military Combat Boot – $19.99 and FREE shipping with prime! 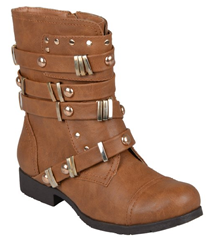 West Blvd Womens Paris Cowboy Boots – $16.99 and FREE shipping with prime!